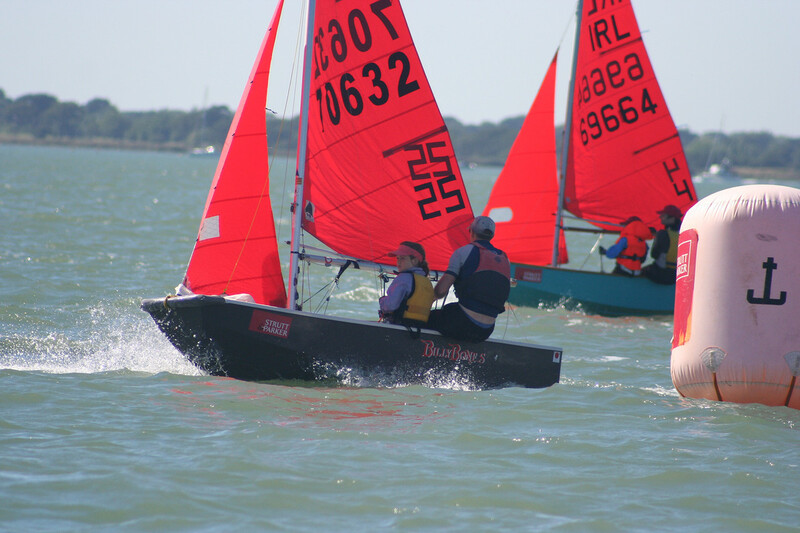 R1 was triangle Sausage, triangle. 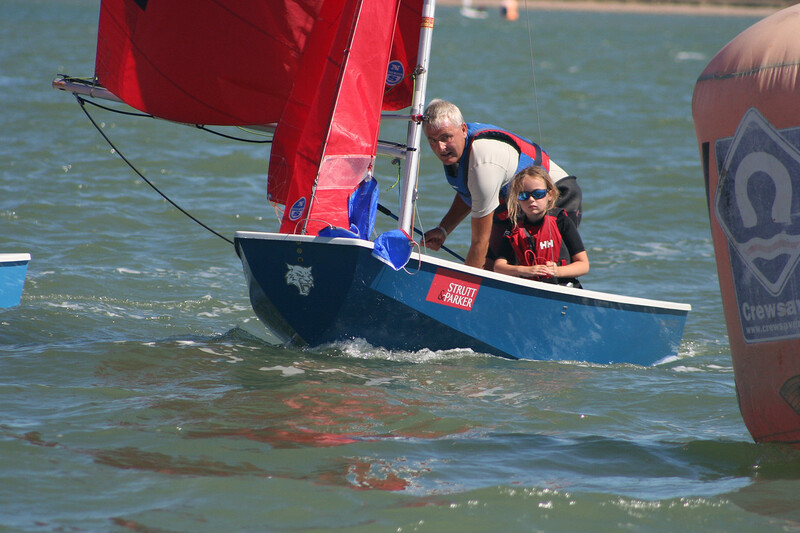 Tim & Ellie Rush and Melissa & Amelie Hiscocks went right on the beat and had a ding dong battle which tim & Ellie won with Angus & Flo Hemmings 3rd. 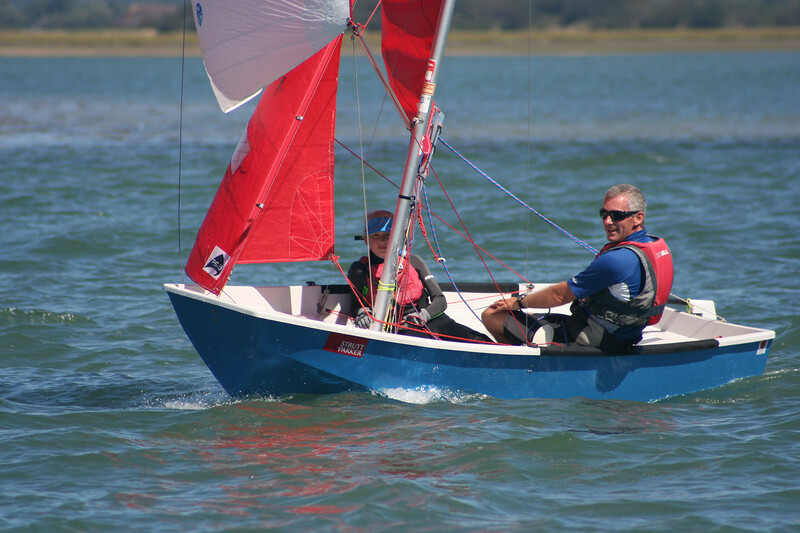 R2 was triangle, sausage, triangle again. 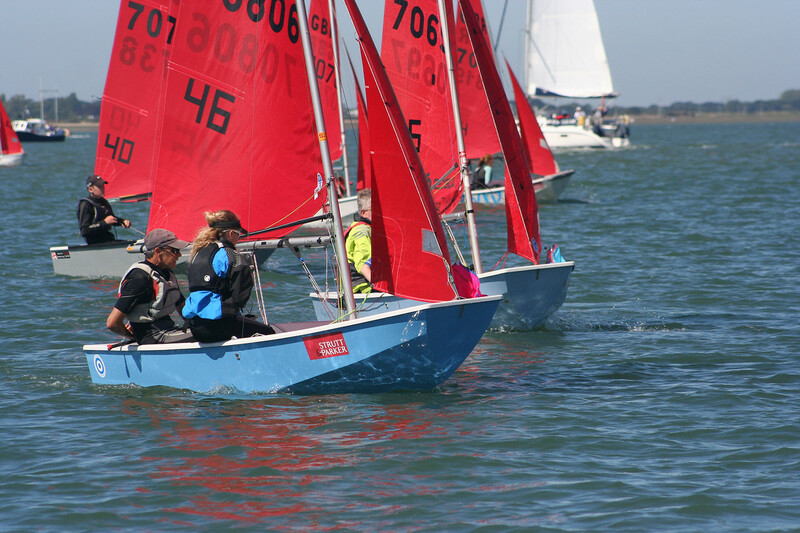 This time the fleet got away after a general recall. 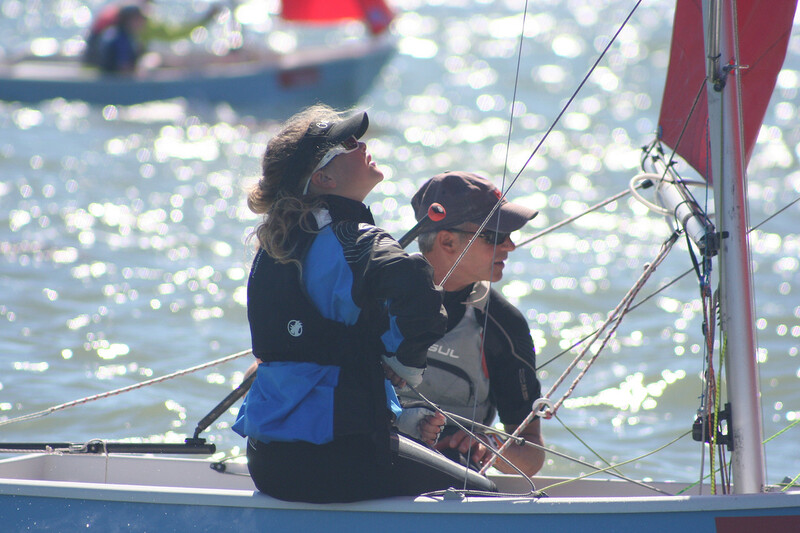 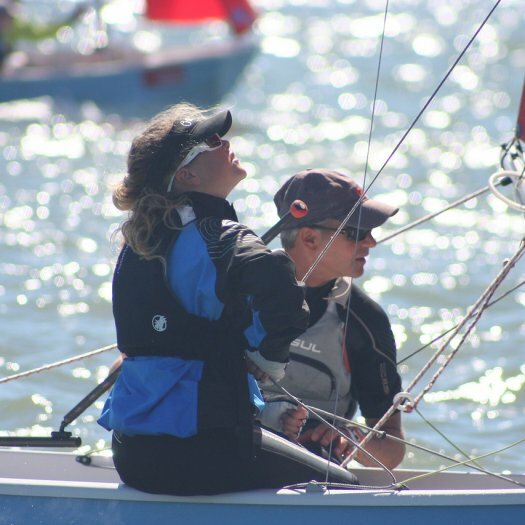 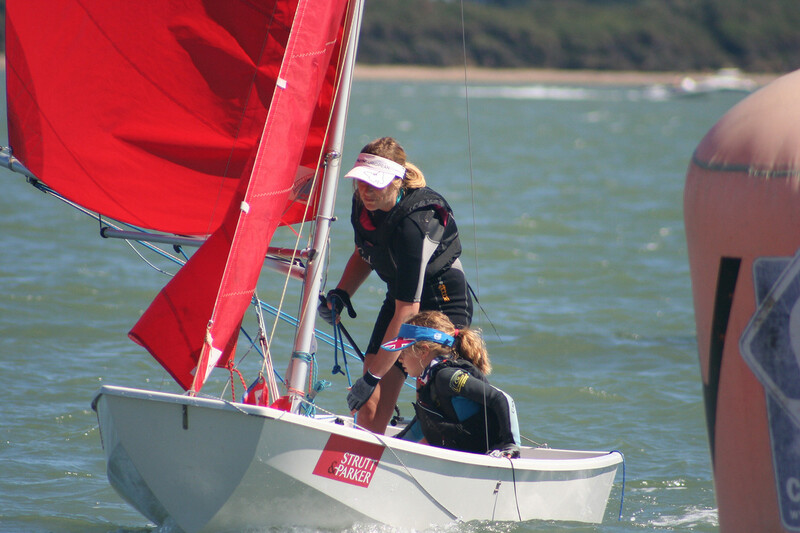 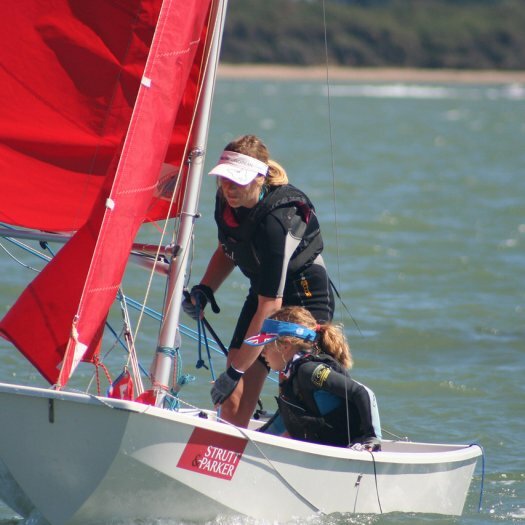 Melissa & Amelie get past the leaders on a beat to take the lead and win from Dave & Imogen Wade with Angus & Flo 3rd again. 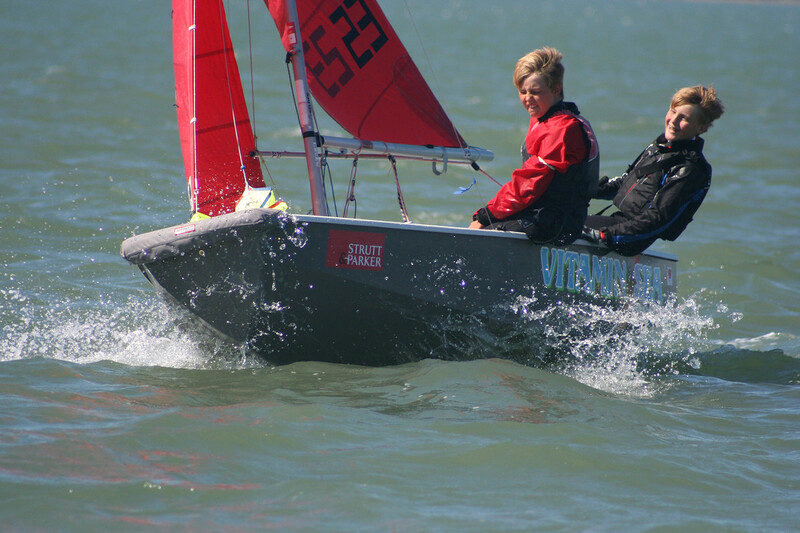 R3 the race area was moved west to a different area of the harbour. 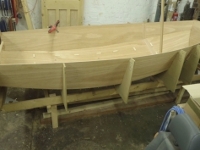 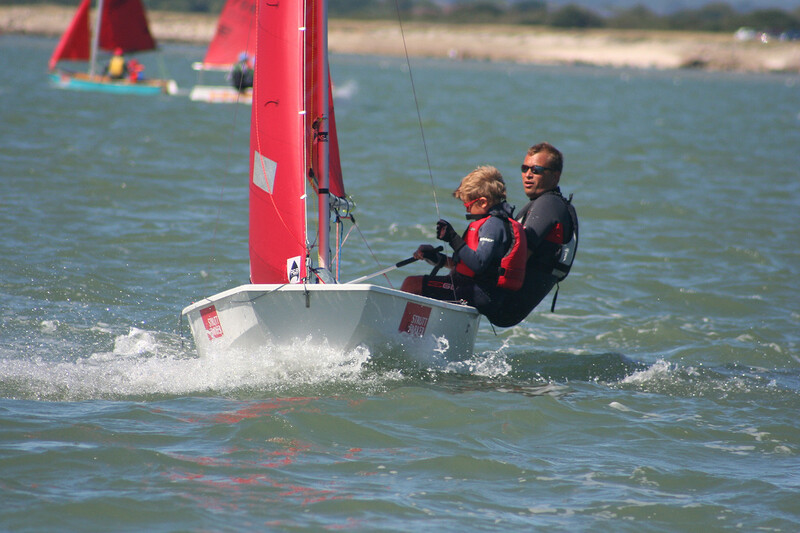 This time it was windward/leeward. 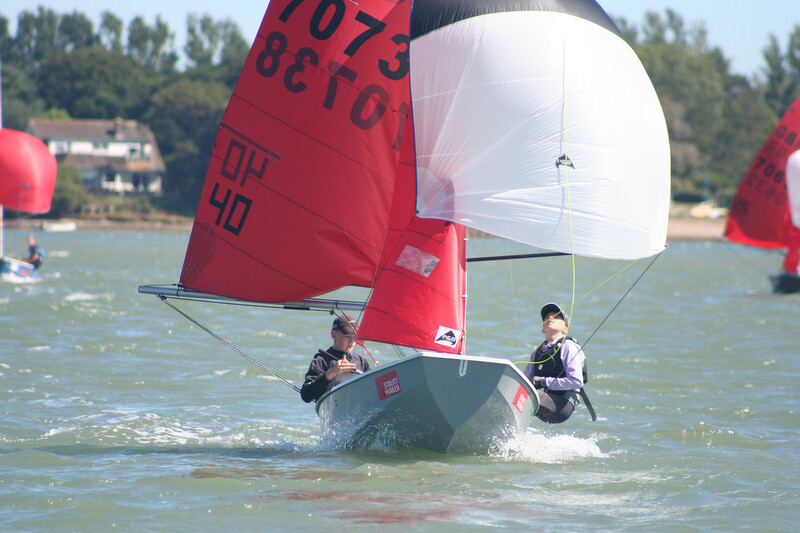 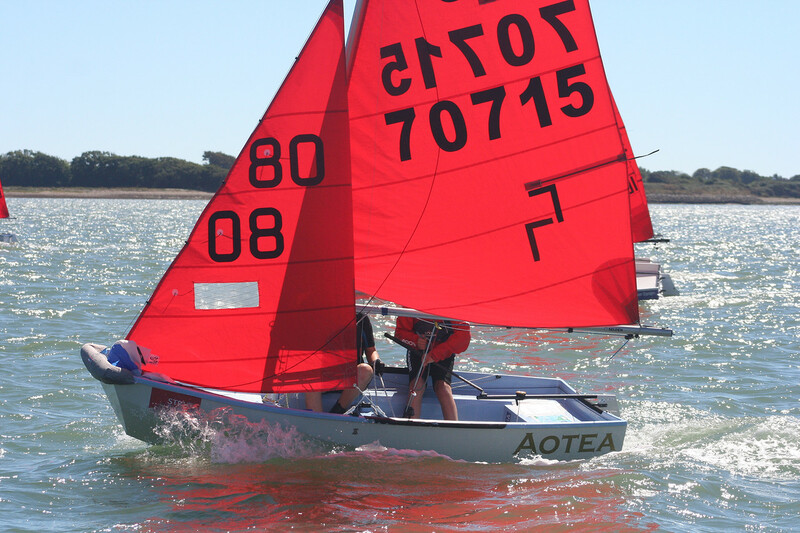 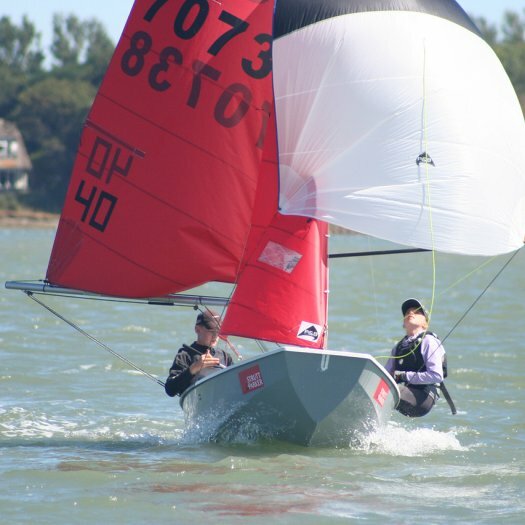 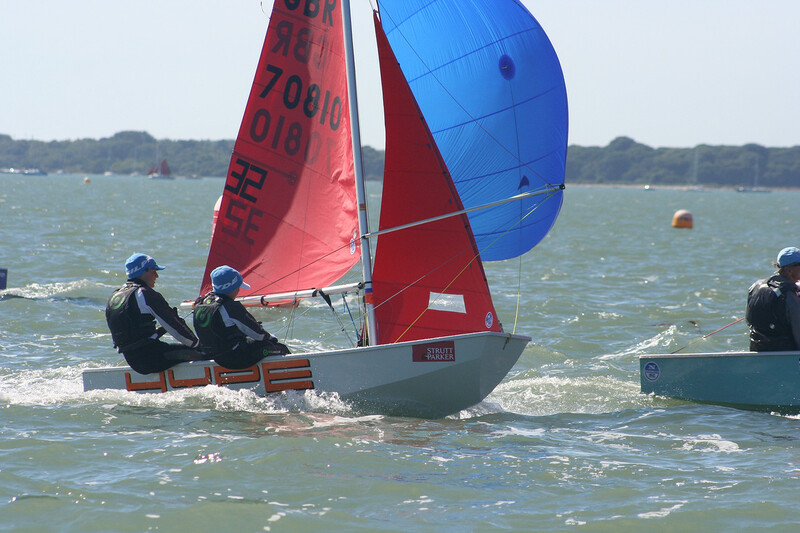 The race got away with individual recall, Vince Horey's mast fell down shortly after the start. 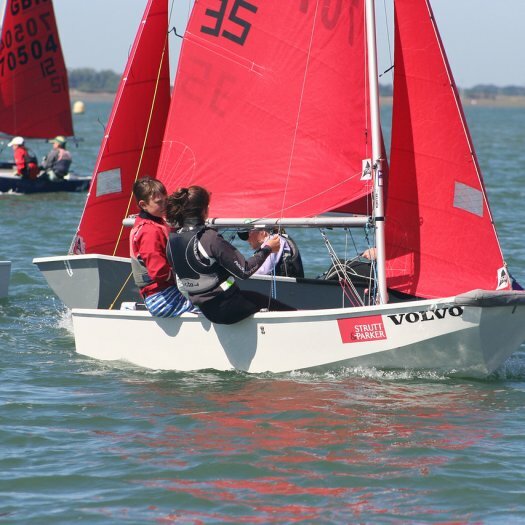 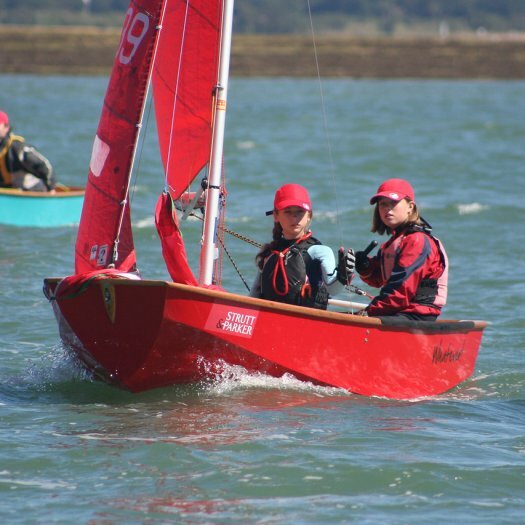 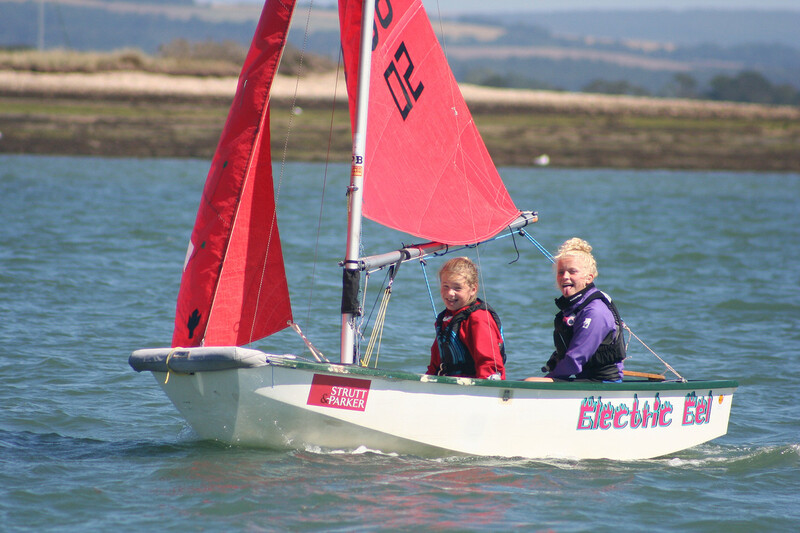 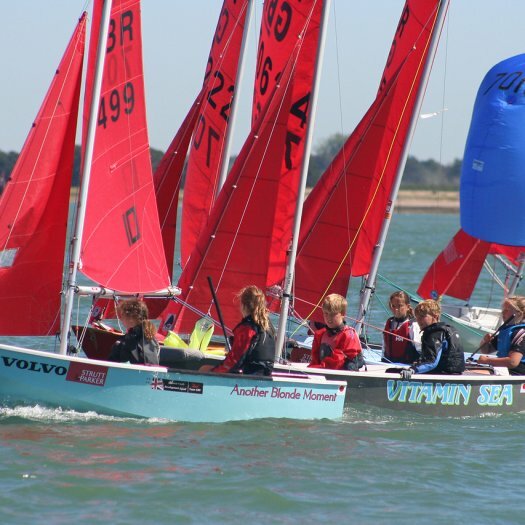 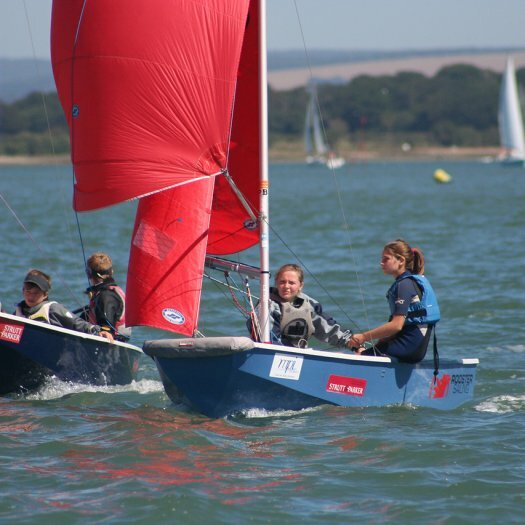 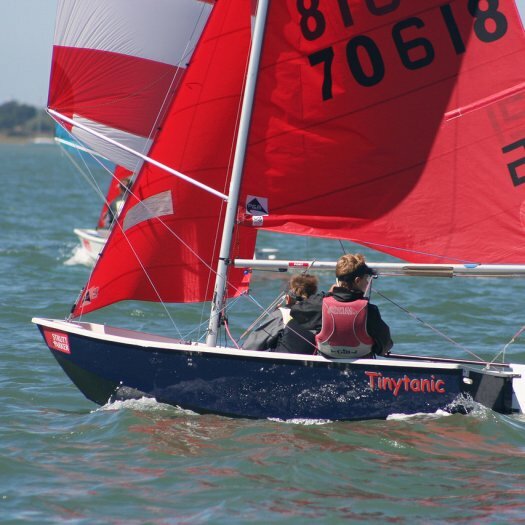 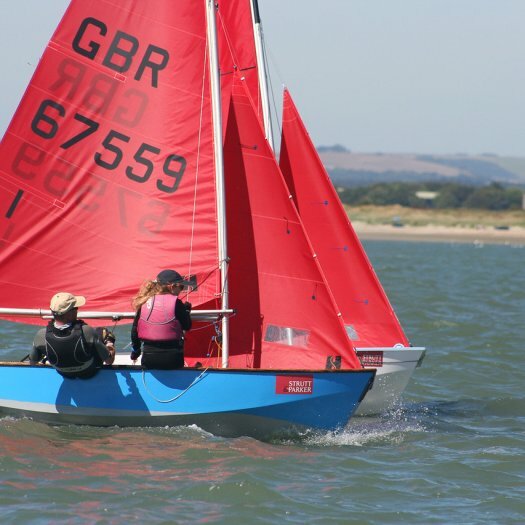 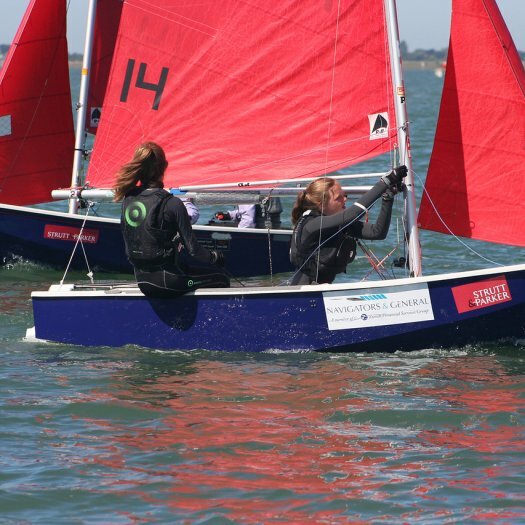 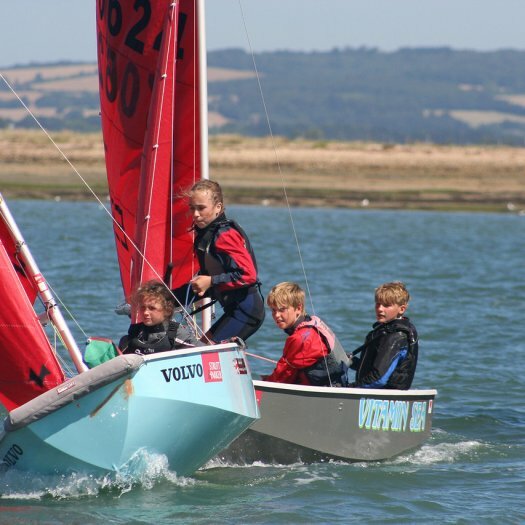 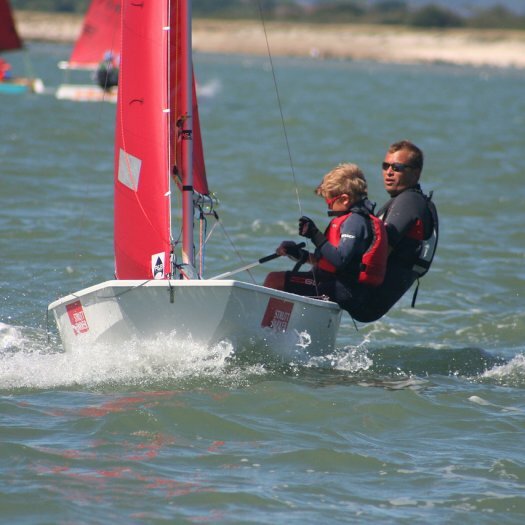 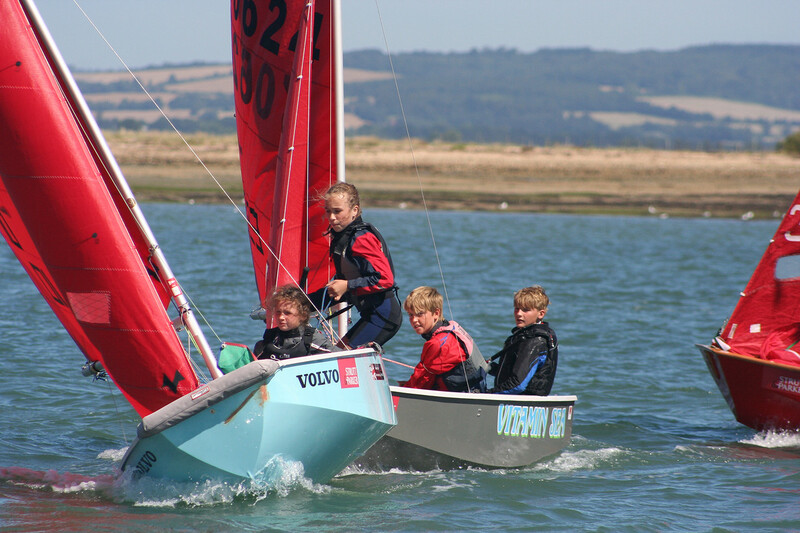 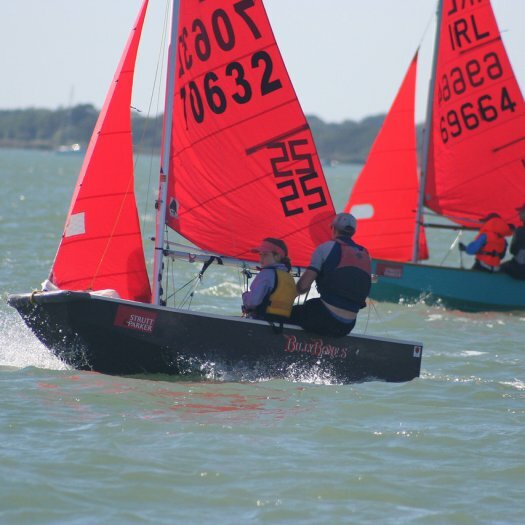 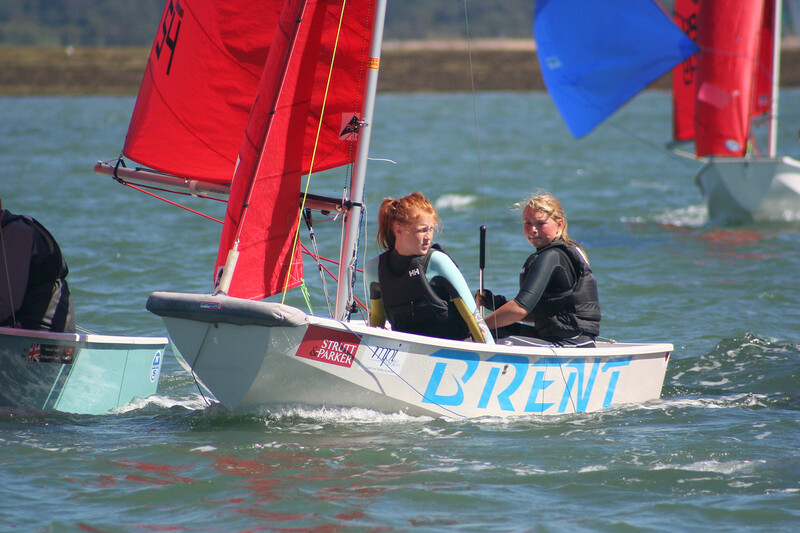 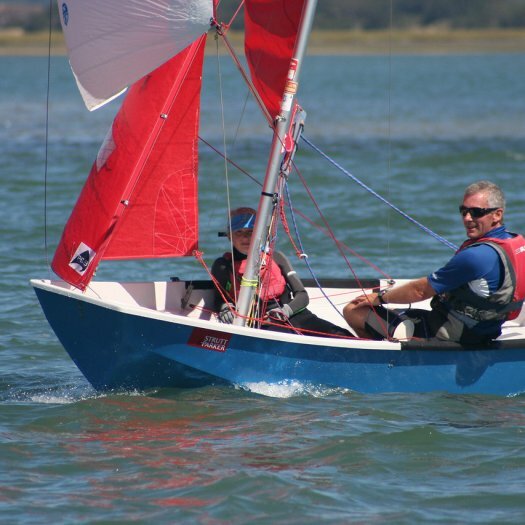 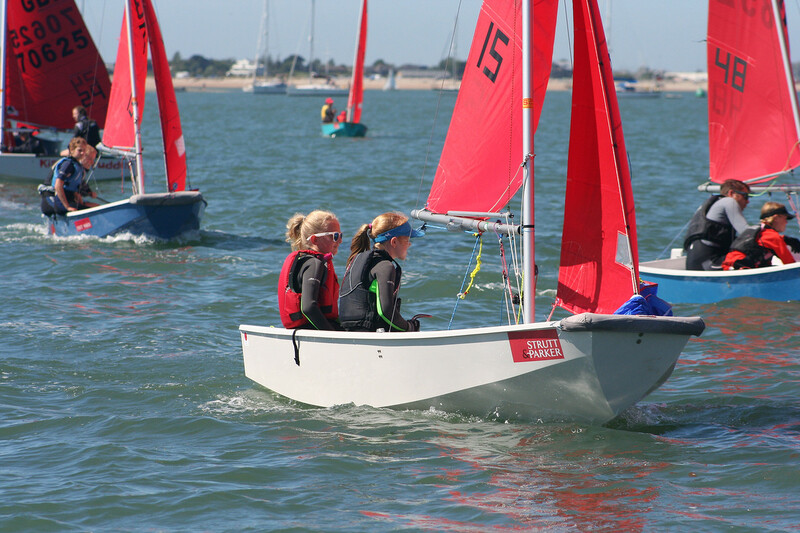 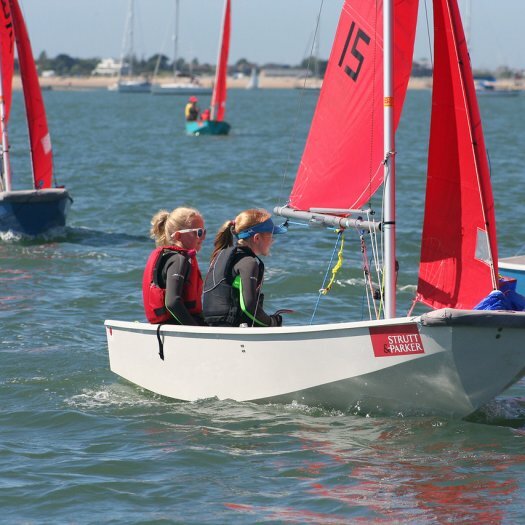 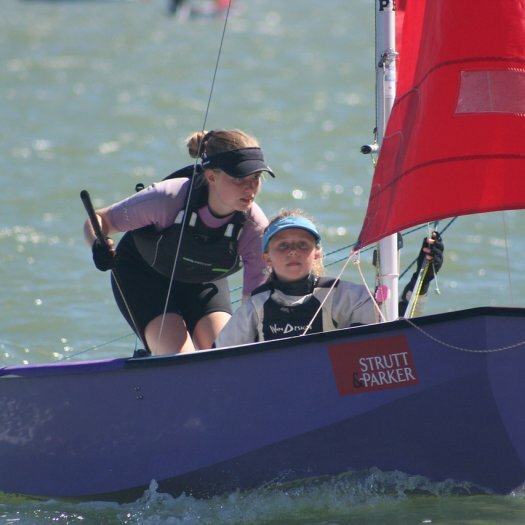 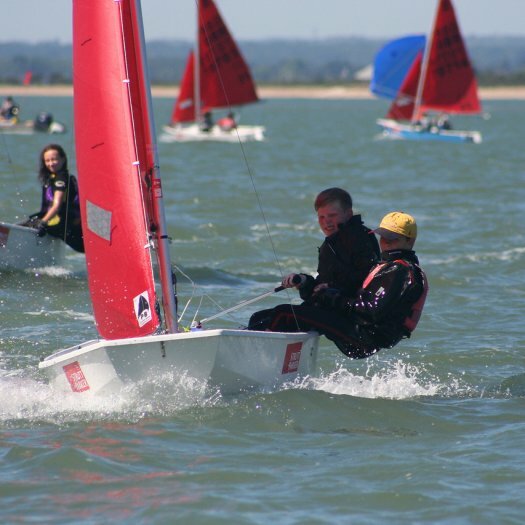 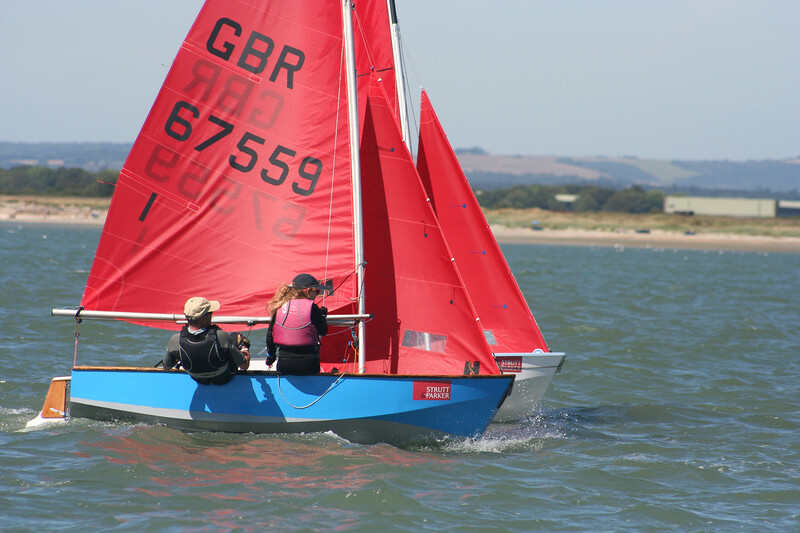 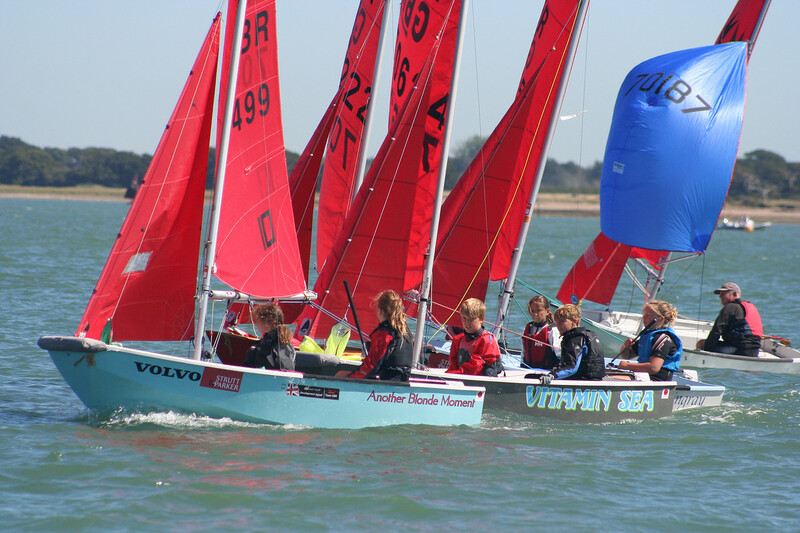 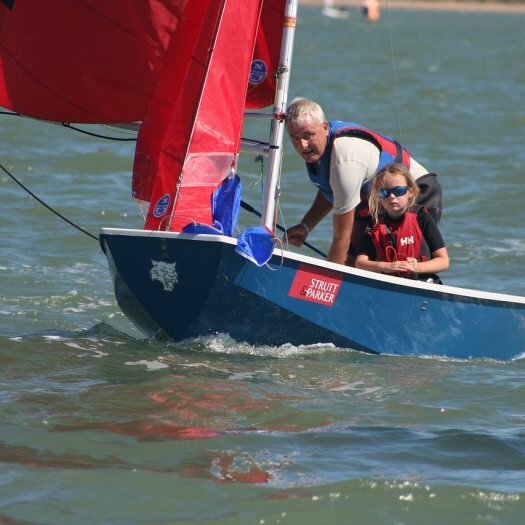 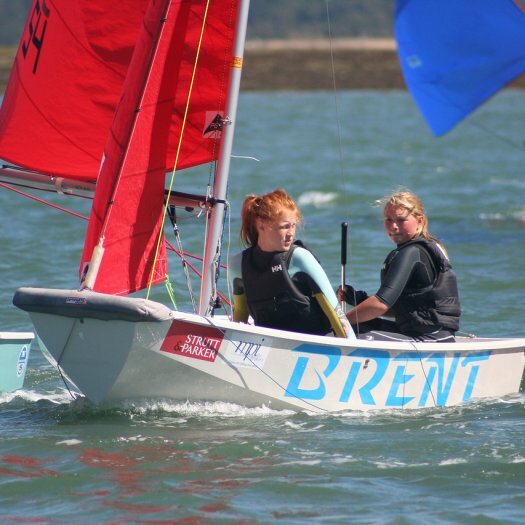 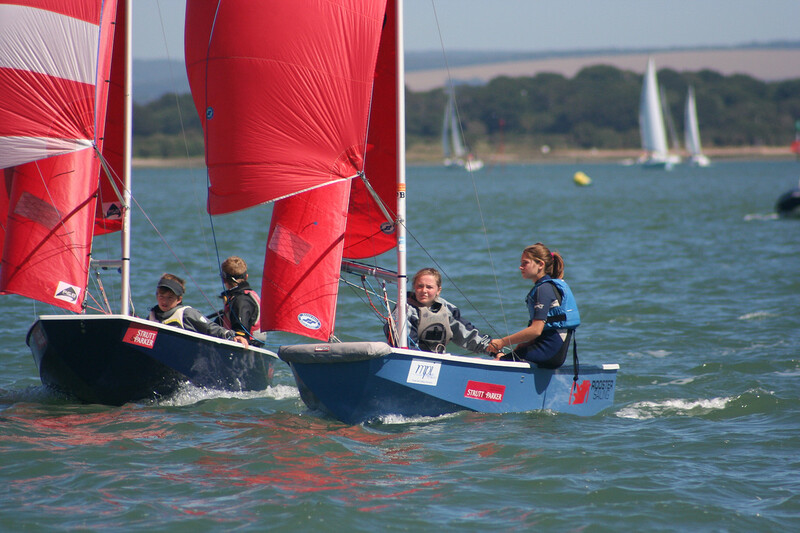 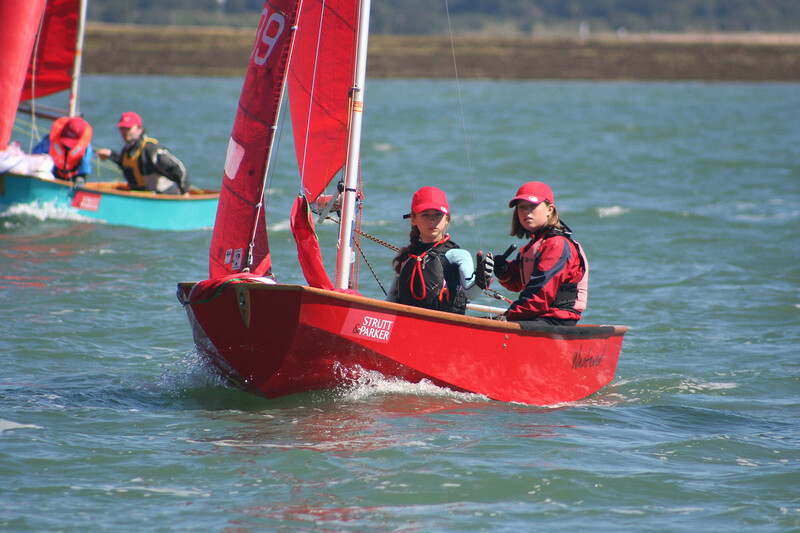 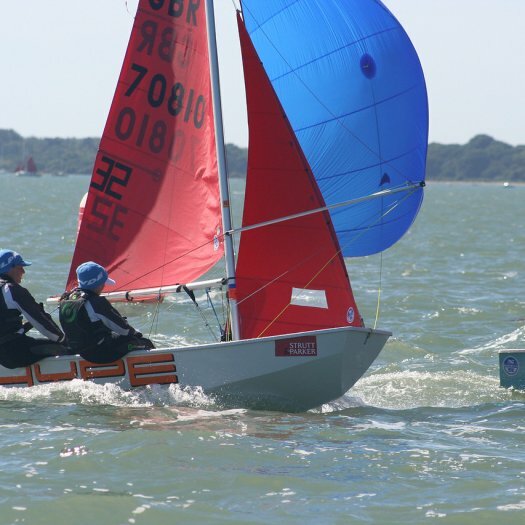 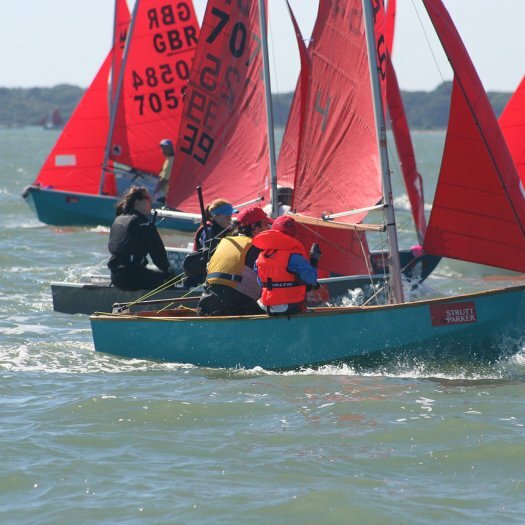 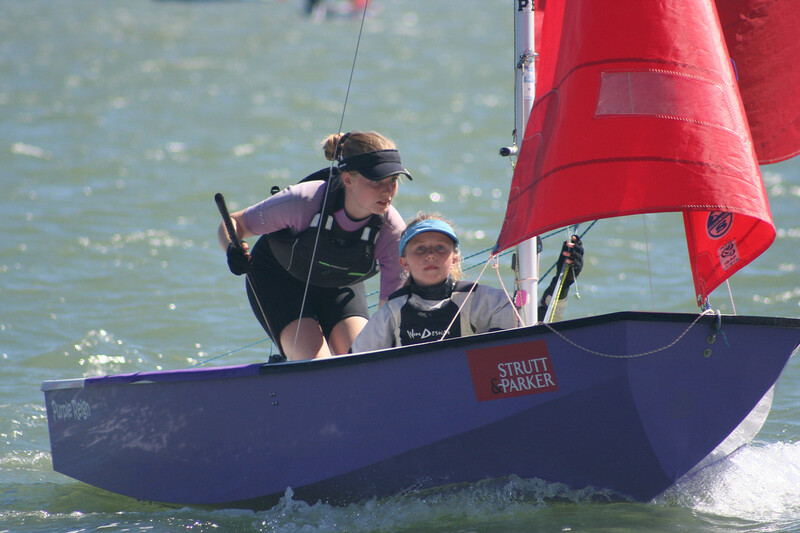 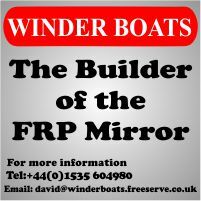 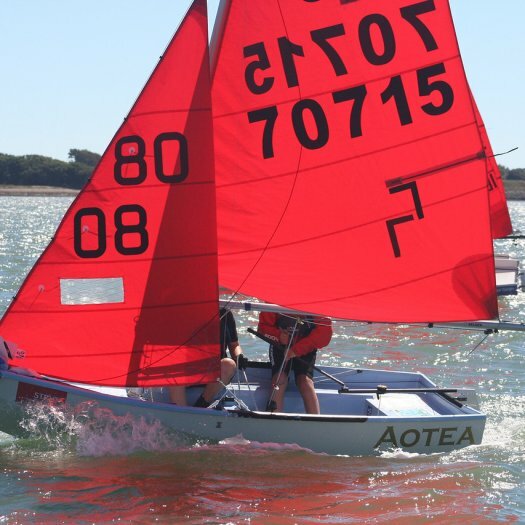 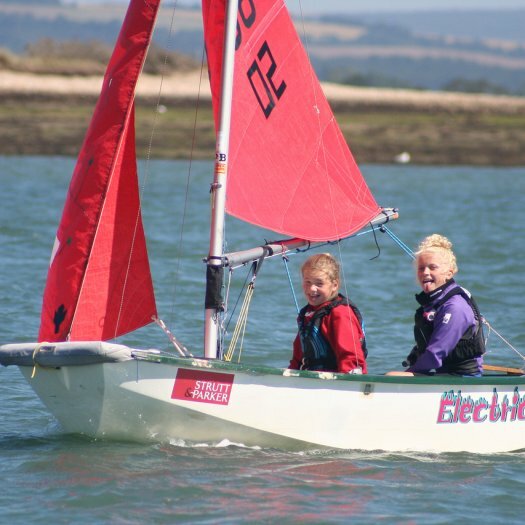 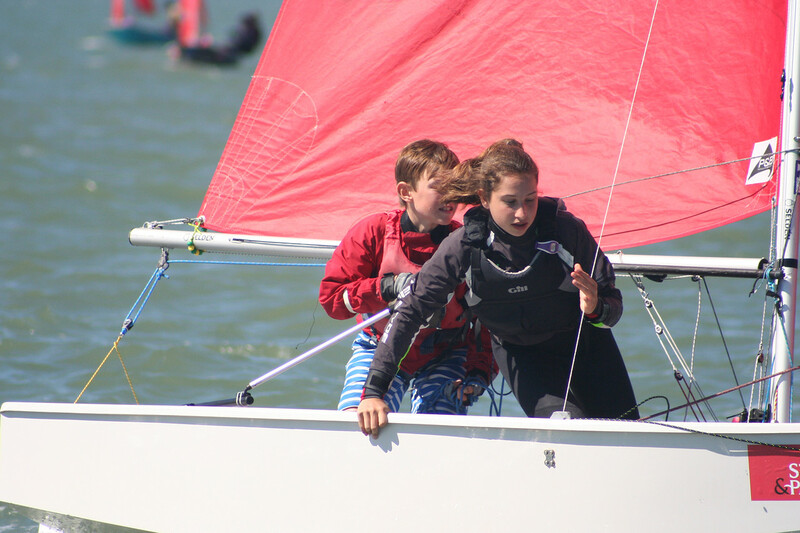 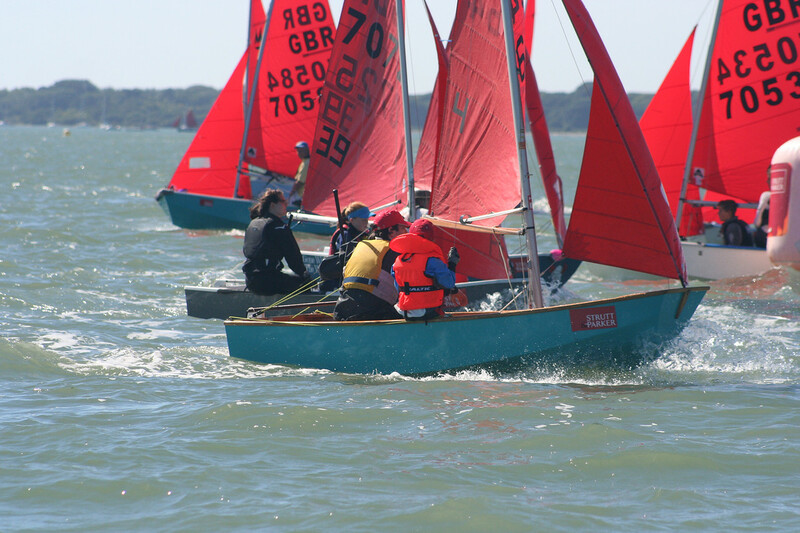 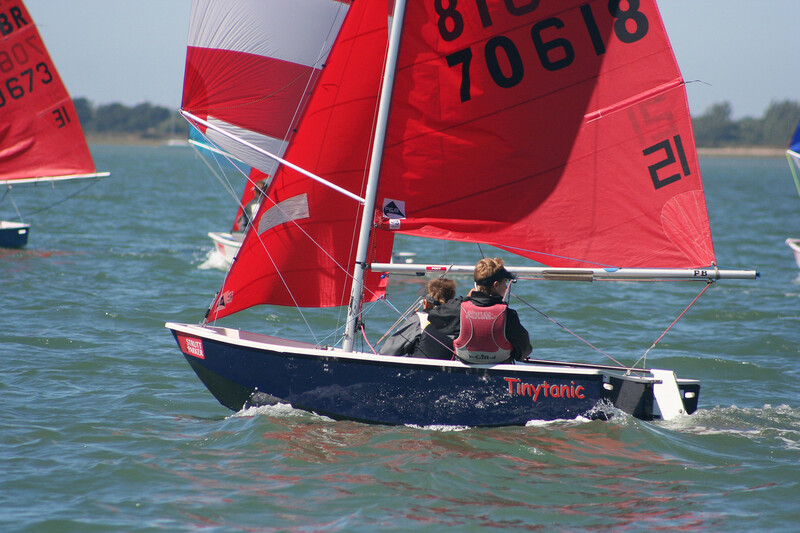 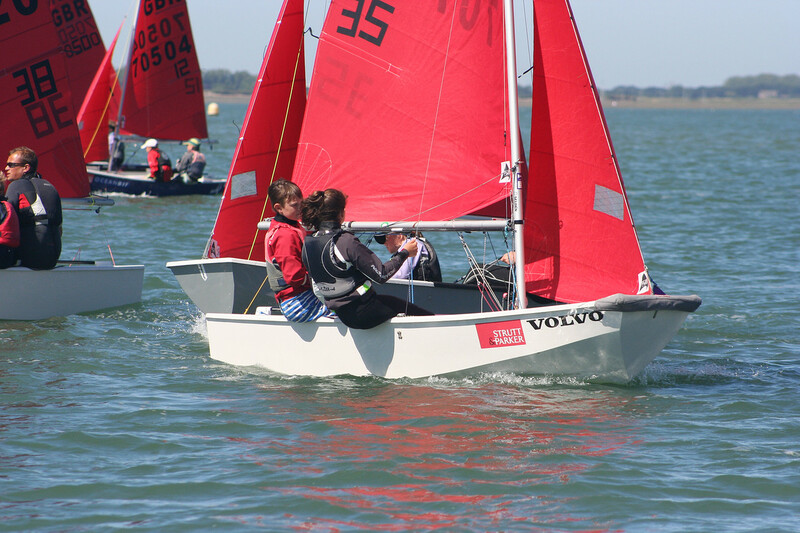 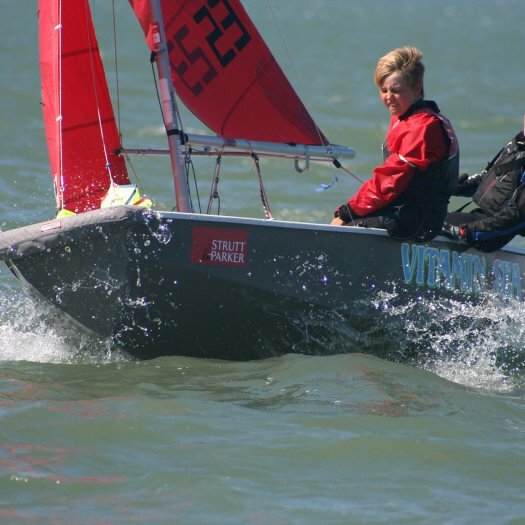 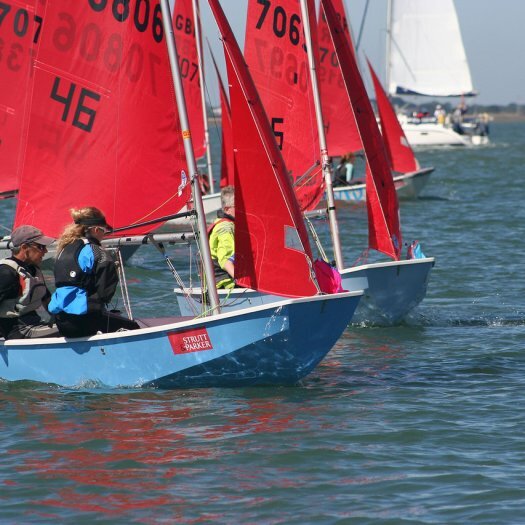 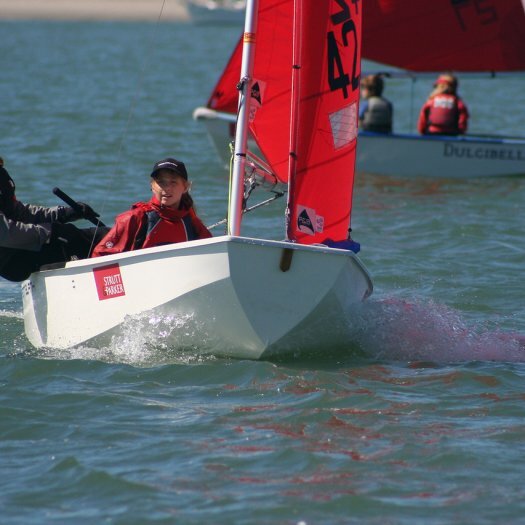 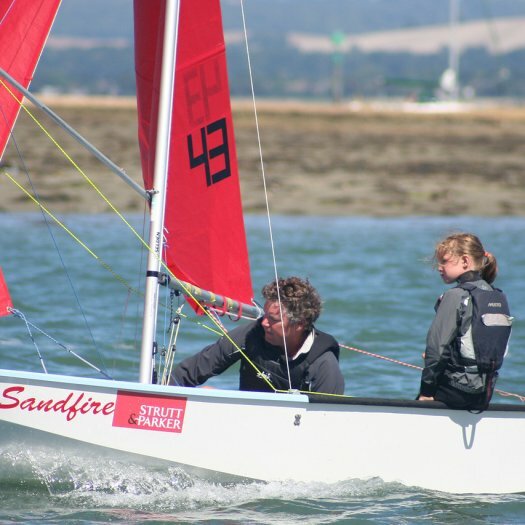 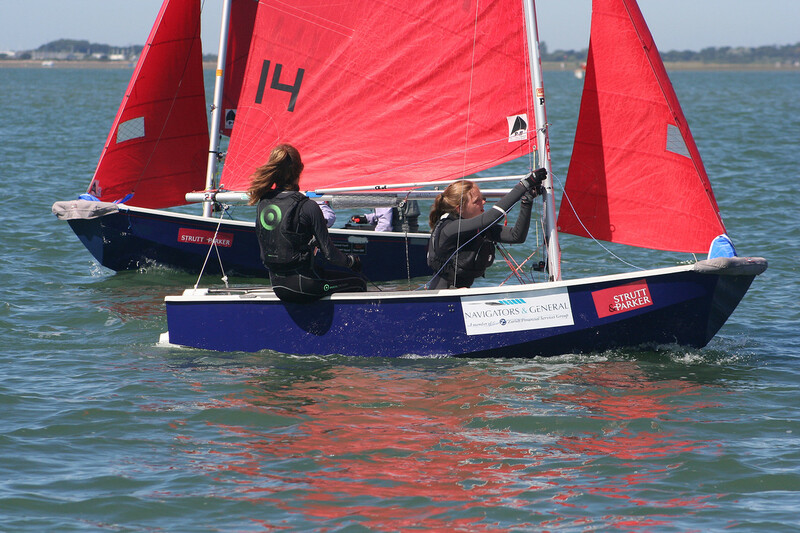 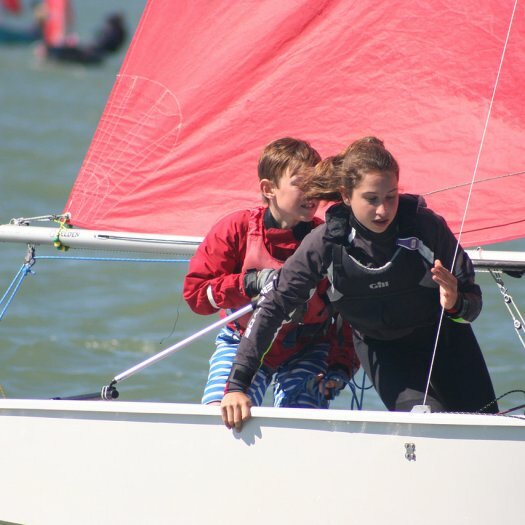 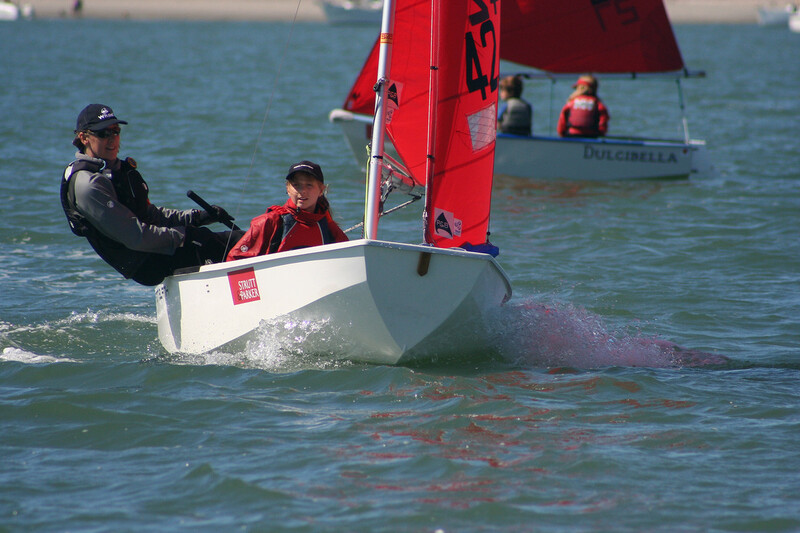 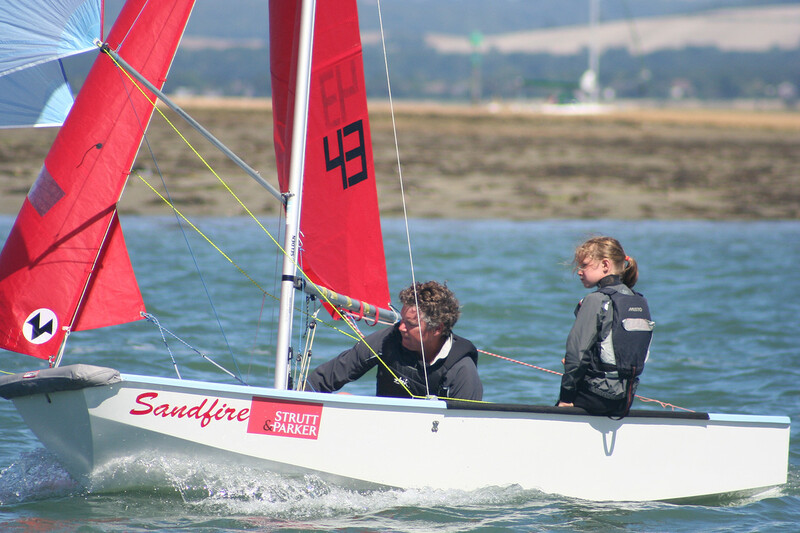 Bertie Fisher & Felix Kent overtook the leaders Archie Grant & Maddie Hantrais and Dave & Imogen by going low on the 2nd run and then kept extending sailing smart on the shifts. 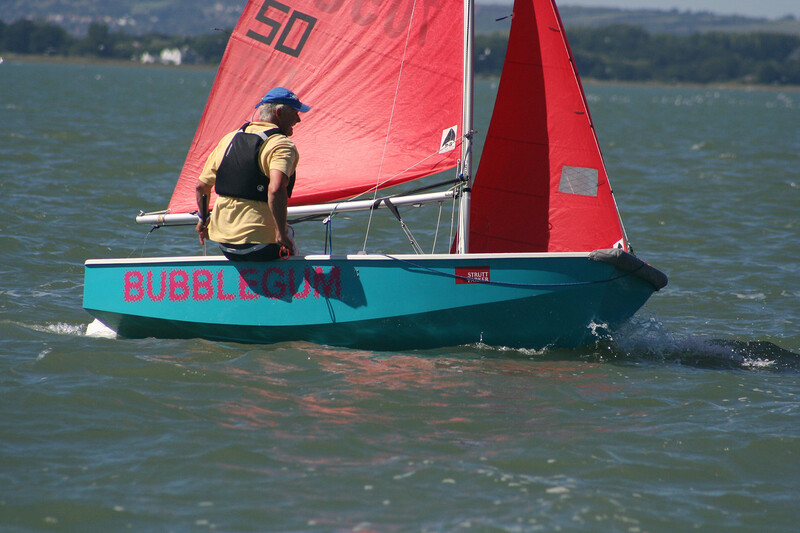 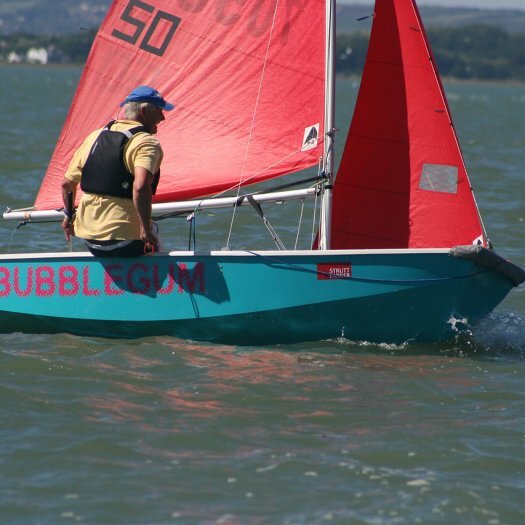 Leading single hander in this race was Michael Ewart Smith in "Bubblegum" in 13th. 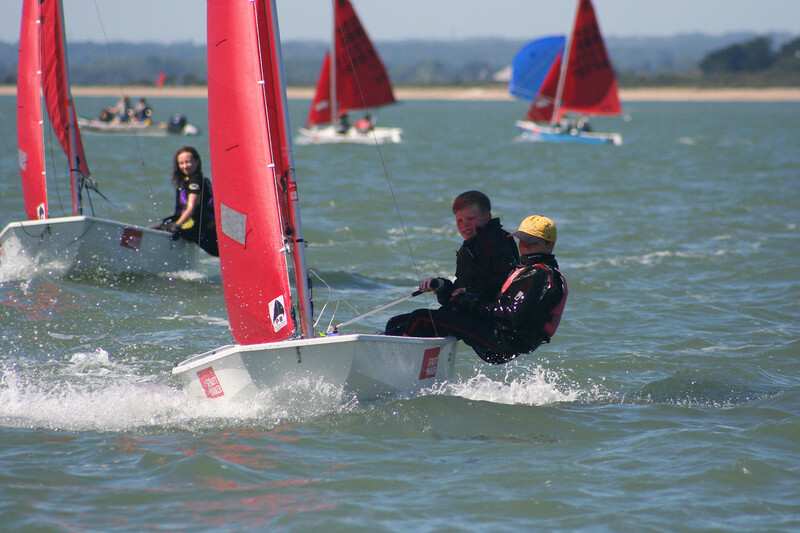 Well done to all the juniors who kept racing right to the end.